Interested in participating in the MetroPCS Dallas Marathon, but shrink from the thought of running all 26.2 miles? SMU’s Cox School of Business invites all University faculty and staff members to join forces and conquer one of Dallas’ landmark events. On Sunday, Dec. 8, 2013, the SMU Cox Corporate Relay Challenge brings corporate teams of five to tackle the world-renowned Dallas Marathon course in stints of approximately five miles each. The Cox School is in its 8th year as a sponsor of the event and hosts an awards gala for the winning teams each January. Relay teams compete in a variety of categories, including fastest team and youngest and oldest average team age. Presenting sponsor Behringer Harvard awards a total of $30,000 in the names of winning teams’ companies to the marathon’s beneficiary, Texas Scottish Rite Hospital for Children. SMU faculty and staff members who participate in the Wellpower program can set up a personal challenge for running the Cox Corporate Relay Challenge. Contact SMU’s Baylor Health Coach Paige Shouse before beginning the challenge – she will make sure it meets the general criteria and help you set goals, measurement and tracking. All Corporate Relay teams will be invited to an awards reception to be held at the University’s Collins Executive Education Center in the weeks after the race. Each five-person Corporate Relay Challenge entry costs $275 through Monday, Sept. 30, 2013 and $300 from Tuesday, Oct. 1 to Sunday, Dec. 1. The Challenge is a popular event and usually sells out by November, says Kasi Zieminski, associate marketing director for the Cox School. For more information, visit dallasmarathon.com. SMU team captains can contact Kasi Zieminski before registering to receive a $5 team discount. Baylor Health Coach Paige Shouse returns as SMU’s on-campus wellness coach during the 2013-14 academic year. 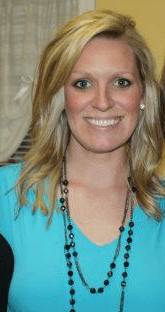 Baylor Health Coach Paige Shouse will return to SMU to provide on-campus wellness coaching during the 2013-14 academic year. She will available for consultation on most Wednesdays beginning Sept. 18, 2013. A 5-year veteran of corporate wellness programs, Shouse served as SMU’s on-campus health coach in 2012-13. She helps Wellpower participants set and achieve wellness goals through one-on-one counseling in person, by phone and via e-mail. She also hosts seminars and webinars on wellness topics throughout the year. Shouse holds a bachelor’s degree in food and nutrition and certification as a Health/Fitness Specialist from the American College of Sports Medicine. In addition, she holds certification as a Wellness Program Coordinator through the National Wellness Institute. To set up a consultation with Shouse, e-mail wellpower@smu.edu. The University community is invited to take a fresh perspective on cooking, eating and living well at the Spring 2011 SMU Farmers Market. The events take place 11 a.m.-5 p.m. Thursday, April 28, and 11 a.m.-2 p.m. Friday, April 29, in the Hughes-Trigg Commons. Shoppers can expect to find fresh items including blueberries, plums, mangos, nectarines, seedless watermelons, avocados, bell peppers, tomatillos and snow peas. Organic offerings will include apples, carrots, grape tomatoes, spring salad mix and Texas-grown shiitake mushrooms. Herbs like cilantro and mint, as well as more exotic items such as blood oranges and starfruit, also will be available. Produce is priced by the pound. Cash, credit and Pony Cash will be accepted. Bags will be available; shoppers are encouraged to go green and bring their own reusable bags. Fancy feasting: SMU Dining Services Executive Chef Tim Schaub will demonstrate the art of garde manger – making memorable garnishes such as tomato roses and apple swans. He’ll also have recipes for delicious dishes featuring Farmers Market produce, some of which appear on the menu at RFoC @ Lee. Soul food: 11:30 a.m.-12:15 p.m. Thursday and 12:45-1:30 p.m. Friday, meet at the Farmers Market. McCreless Associate Professor of Evangelism Elaine Heath, Perkins School of Theology, will conduct walking tours of the SMU Community Garden, which benefits the North Texas Food Bank. Information about how to become involved with the project also will be offered. Good dirt: 11:30 a.m.-12:30 p.m. Friday, Hughes-Trigg Forum. Ann Allen and Cathy Coates of SMU Facilities Management & Sustainability will share tips for growing vegetables in containers. Sage advice: SMU Dietitian Claire Florsheim will share nutrition information and tips. Healthy living: Get the latest on Dedman Center exercise programs. Going green: Learn about sustainability at SMU. The SMU Farmers Market and programs are open to the public. They are presented by SMU Wellpower and SMU Dining Services. Update: Due to the likelihood of rain on May 20, 2010, the Staff Association has moved the President’s Picnic to RFoC in Umphrey Lee Center. Picnic food will be served 11:30 a.m.-1:30 p.m. The Tug of War and Water Balloon Toss have been canceled, but the Spirit competition and Mummy Wrap contest will proceed as normal. For more information, visit smu.edu/staff_association/picnic. The Staff Association is calling all SMU staff members to a Wild West chuck wagon for the 2010 Staff Appreciation Day and President’s Picnic. The traditional post-Commencement celebration takes place 11:30 a.m.-1:30 p.m. May 20 on the south lawn of Clements Hall. Staff members can earn 1 Wellpower Spirit credit for attending the picnic. RSVP online to register your department’s team for a competition and find a list of this year’s games. Pick-up volleyball, horseshoes and frisbee golf will be played throughout the picnic. No team registration is required. For more information, visit the Staff Association homepage. On Feb. 5, 2010, SMU took part in National Wear Red Day to promote the American Heart Association‘s Go Red for Women campaign. February is National Heart Health Month, and the photo – cosponsored by SMU, SMU Wellpower, the SMU Women’s Symposium and the AHA – kicked off a series of events aimed at raising awareness of heart disease as the #1 killer of women. Eva Parks-Spero of SMU News created a short video to commemorate National Wear Red Day – click the YouTube screen to watch. • Read more about SMU heart-health events from HR’s Healthy U. On Feb. 5, 2010, the Hilltop will Go Red For Women. All SMU faculty, staff and students are invited to wear red to the Main Quad area for a group photo to celebrate National Wear Red Day and February as Heart Health Month. Go Red For Women is the American Heart Association‘s national campaign to increase awareness of heart disease – the leading cause of death for women – and to inspire women to take charge of their heart health. The University community can participate in several educational opportunities through attendance at the 2010 SMU Women’s Symposium on March 3 and special features on the SMU Wellpower website. In addition, the Wellpower program will present “Lunch & Learn” events to provide women of every generation with tips on healthy eating, exercise and risk factor reductions such as smoking cessation, weight maintenance, blood pressure control and cholesterol management. Go Red For Women is cosponsored by SMU, SMU Wellpower, the SMU Women’s Symposium and the American Heart Association. Faculty and staff members can earn 1 Wellpower Spirit point for attending the photo event. Don’t worry, be happy: The SMU Health Center hosts a brown bag presentation on the Science of Happiness noon-12:50 p.m. April 30 in Room 205, Memorial Health Center. Learn about positive psychology, a new movement in psychology that focuses on what makes people happy. Faculty and staff earn 1 Wellpower Mind credit for attending. For more information, contact Jennifer Hughes. End-of-the-year fun: Join the SMU Student Foundation for the annual Mane Event from 3-6 p.m. May 1 on the lawn in front of Dallas Hall. The carnival-like event is a great way to have some fun before finals and includes music, games, inflatables and tons of free food. The event is free and open to the entire SMU community. May 1-2: TITAS presents Alonzo King’s LINES Ballet at 8 p.m. For tickets, call 214-528-5576. University community members can learn more about journaling as a mental health and coping tool through “The Magic of Journaling.” The brown-bag presentation takes place noon-12:50 p.m. Oct. 24 in the Counseling and Psychiatric Services office, Room 205, Memorial Health Center. The session is open to SMU students, faculty and staff members. Faculty and staff earn 1 Wellpower credit for attending. Bring your lunch.